Yummy, can you imagine lucious kiwi & pink lemonade! 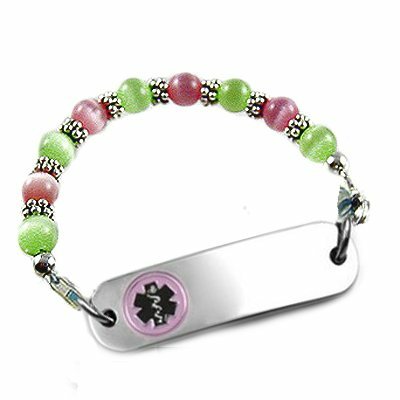 This darling children's petite design with 6mm pink & green fiber optic cat's eye beads & Bali silver dotted-edge spacers to keep your "girly-girl" safe & stylish! No further discounts on this laser engraved product. 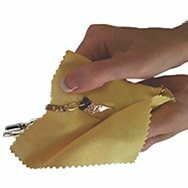 Price includes: One Petite stainless medical id tag with laser engraving, pewter heart dangle and interchangeable beaded strand..